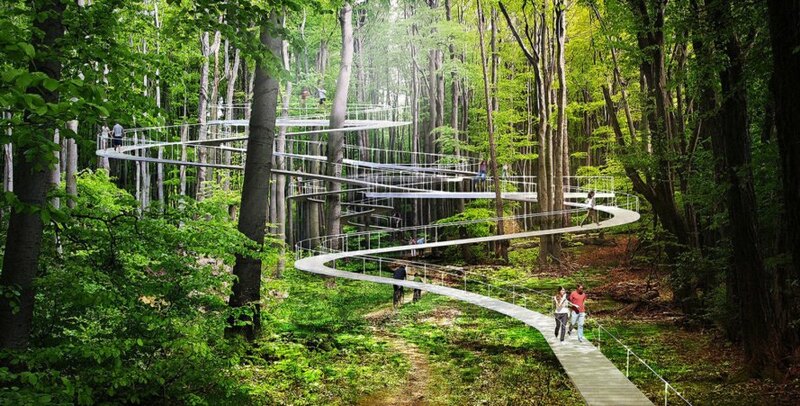 Imagine if your next trip to the forest allowed you to meander hidden pathways into the treetops, swing on hammocks, and bounce on giant trampolines, like an oversized playground for grown-ups. 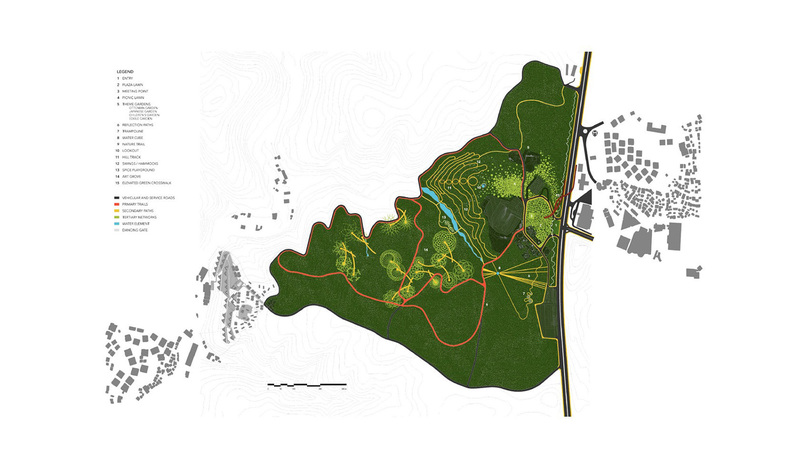 Architects Studio Dror envisioned a bold new urban park experience for a “city with no Central Park” — Istanbul, Turkey. Studio Dror’s goal was to “design a love story between people and nature” for their new “Parkorman” park, with numerous pathways, swings, hammocks and trampolines scattered throughout. The design transforms the existing green space located six miles north of Istanbul’s city center into a playground where visitors can create their own unique experiences. 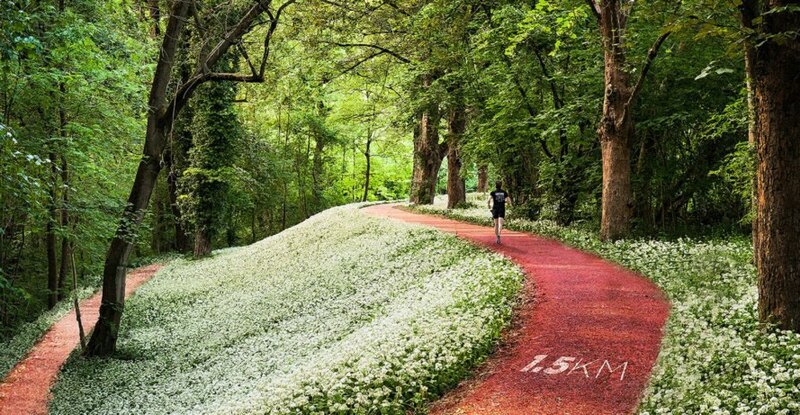 While providing clear paths and spaces, the park also allows people to be surprised by unexpected discoveries along their journey. The park comprises five main zones, each with its own distinct qualities. The Loop features swings and hammocks suspended above the forest floor, while giant ball pits, inspired by Turkish spice markets, dominate The Pool. 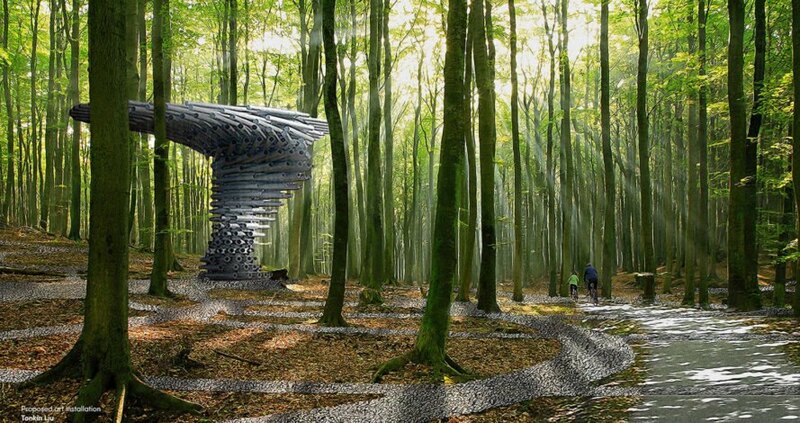 A footpath meanders through the forest and twists around tree trunks into giant loops with trampolines at the center in The Chords. A maze-like trail surrounded by sculptures, called The Grove, aims to encourage exploration, while a cube-shaped Fountain of Clarity envelops visitors in water. 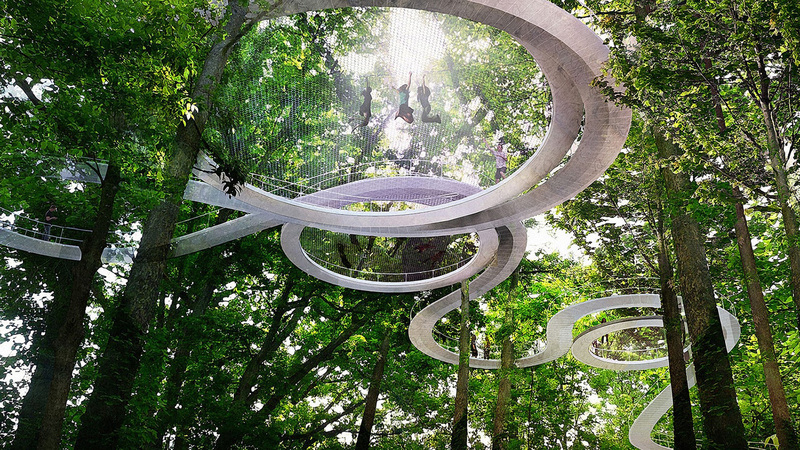 Imagine if your next trip to the forest allowed you to meander hidden pathways into the treetops, swing on hammocks, and bounce on giant trampolines, like an oversized playground for grown-ups. Architects Studio Dror envisioned a bold new urban park experience for a "city with no Central Park" -- Istanbul, Turkey. Studio Dror's goal was to "design a love story between people and nature" for their new "Parkorman" park, with numerous pathways, swings, hammocks and trampolines scattered throughout. The design transforms the existing green space located six miles north of the city centre into a playground where visitors can create their own unique experiences. While providing clear paths and spaces, the park also allows people to be surprised by unexpected discoveries along their journey. The park comprises five main zones, each with its distinct qualities. The Loop features swings and hammocks suspended above the forest floor, while giant ball pits, inspired by Turkish spice markets dominate The Pool. 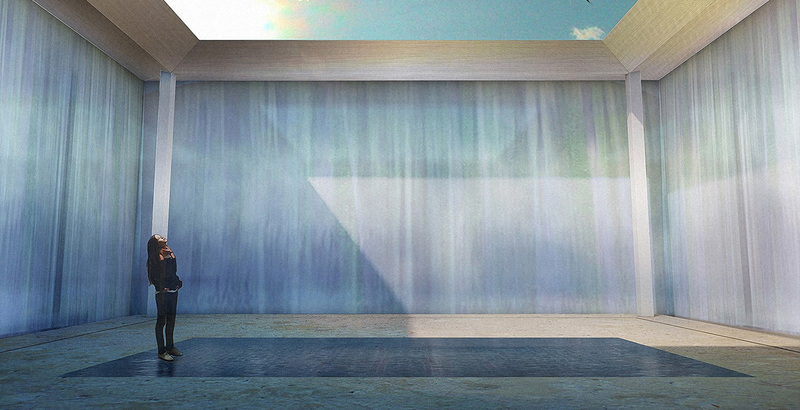 The Grove, aims to encourage exploration, while cube-shaped The Fountain of Clarity envelops visitors in water which runs down its all four walls.